Despite good health and a reasonable level of fitness, some people may still have a body with disproportionate contours due to localized fat deposits. These areas may be due to family traits rather than a lack of weight control or fitness. So localize deposition of fat make body imbalance and reduces body image. This excess localized fat can be sucked out of the body using a metallic hollow tubular cannula, which is attached to a vacuum suction machine. This procedure slims and reshapes specific areas of the body by removing excess fat deposits, improves body contours and proportion, and ultimately enhancing your self-image. Liposuction surgery is not the answer to weight reduction but it deals with localized fat deposit. Fat cells along with fats are being sucked out. so there is the reduction of the total number of fat cells.In order to remain feet and good looking dietary control and proper exercise are needed. The procedure can be repeated. 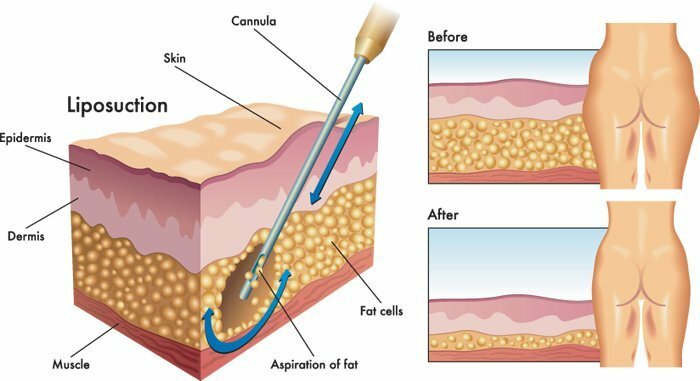 These techniques may be used to reduce localized fat deposits of any part of body like Thighs ,Hips and buttocks ,Abdomen, waist ,Upper arms Back ,Inner knee ,Chest area ,Cheeks, chin and neck ,Calves and ankles.